Our professional set up provides bulk-catering services to companies. We can serve as a one-stop-shop for all your catering requirements. Catering to large groups is our specialty. We strive to maintain a bright, clean, and pleasant atmosphere with plenty of reasonably priced items to pick from. Mayfair Lawn is Corporate Event Planners and Corporate Event Coordinators equipped with the best professionals in the business who really know what they're doing when it comes to planning out every tiny detail. 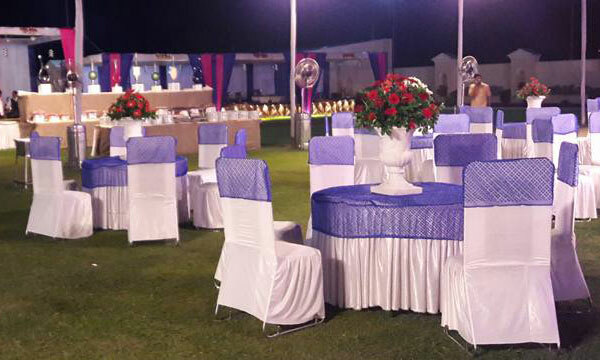 Mayfair Lawn specializes in coordinating large scale special events. We specialize in coordinating get together such as, Birthday Parties, Conferences, Business meetings, Marriages, Theme Parties.